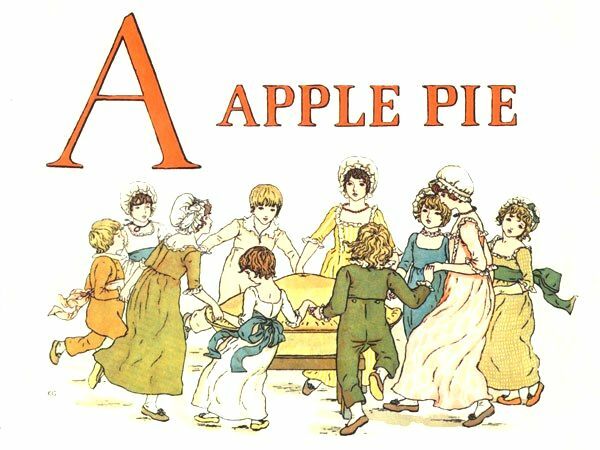 A is for apple pie – the first letter of the alphabet and the first alphabet page from a wonderful children’s book by Kate Greenaway. Over 100 years ago, children were learning their ABCs from this book and now your children can too. This downloadable and vintage image is no longer under copyright and can be freely used as you wish. This artwork was included in the book A Apple Pie from 1886 by Kate Greenaway (1846-1901).